Last summer, Marzocchi showed up to the party after a long hiatus with two banger new mountain bike forks. They promised to provide near-top-level performance for a significantly lower price. After testing both last season, the Bomber Z1 enduro and Bomber 58 DH forks certainly delivered on that promise. The secret? Take the internals from a Fox GRIP fork (Fox owns Marzocchi) and place it in a slightly heavier but significantly less expensive chassis, and there you had it. Marzocchi just released a counterpart to the forks, the all-new Bomber CR coil shock. For anyone looking closely at their Instagram feeds, you might have noticed quite the selection of pros rocking Marzocchi forks on the trail and DH bikes (the likes of Wade Simmons, Geoff Gulevich, Tyler McCaul and Ethan Nell to name a few); turns out they’ve been testing the new Bomber CR shock too. The Bomber CR offers simple adjustments, perfect for those looking to just get out and shred. Marzocchi photo. With more and more riders opting for a coil-sprung shock on their shorter travel bikes, the Bomber CR promises set-and-forget performance for aggressive riding. The advantages of a coil shock are clear: it’s more reliable and will feel plusher. The design is based off the Fox Vanilla RC shock, offering rebound, spring rate, and low speed compression adjustment. It’s simple, and it works. For those looking to get a little more technical, the shim-based design of the damper will offer custom-tuning possibility. However, we’ll hazard a guess that the vast majority of riders will happily get along with factory tune. 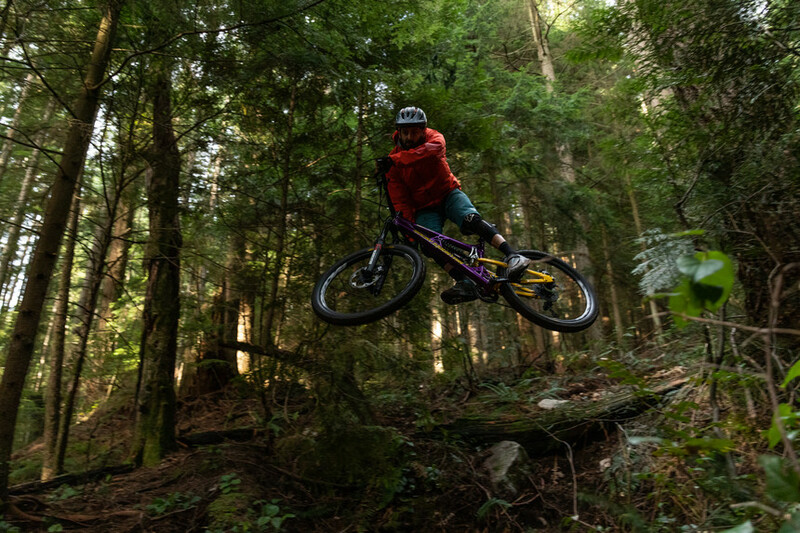 MTB superstar Wade Simmons testing the shock's big hit capability. Marzocchi photo.